Hello everyone! :D I'm not the best artist around, but I've been trying to improve. What do you think? Lol I love them. Keep going, the second one is very creative. 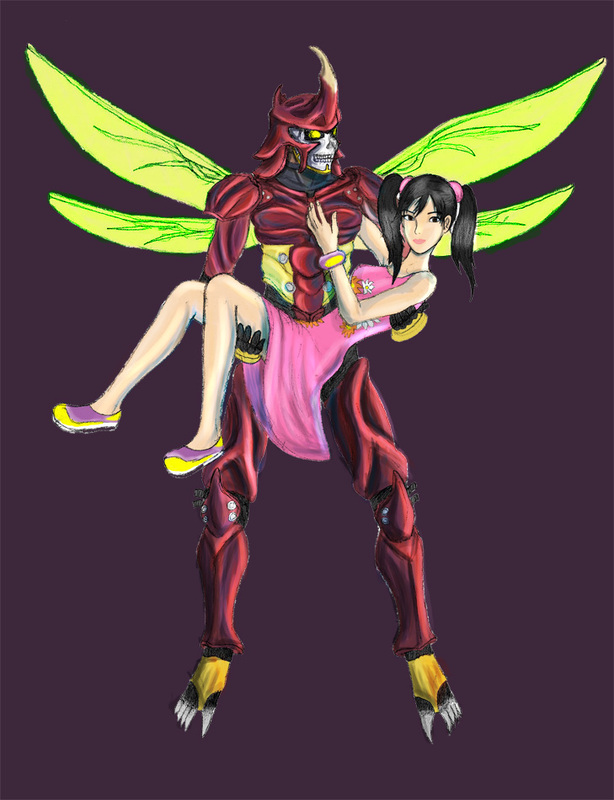 I drew a quick Xioyu/Yoshimitsu fan art. They're just so cute together! It's a bit on the sloppy side, but I'm new to this whole digital drawing thing, so be gentle with your judgements please. She's suppose to look like she takes joy in giving Yoshimitsu a hard time. 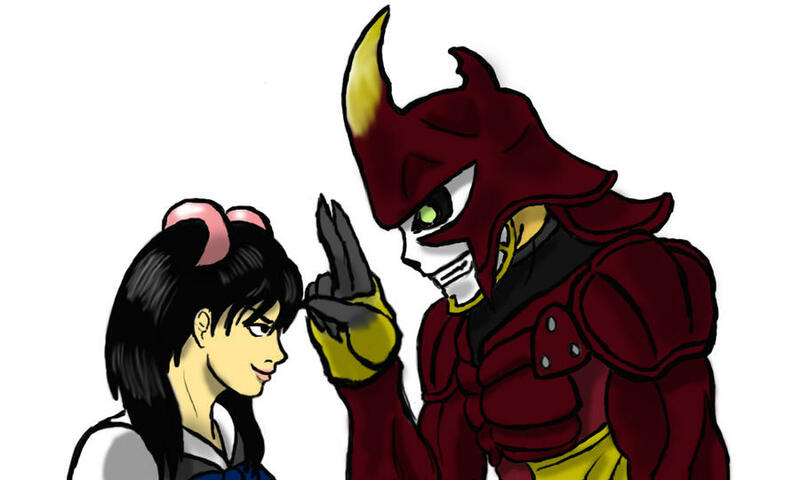 And Yoshimitsu is suppose to be scolding her or something. Yeah, she's giving him a quote 'hard time' with rapeface lmao! They're very good, you should make more! I especially like the bird one, since that's my favourite yoshi costume. Just noticed my avatar has died, what happened to it? And yeah, your avatar is in invisible ninja mode. ?_? # SumSamurai : Yeah, she's giving him a quote 'hard time' with rapeface lmao! O yes I love Xiao face that alone makes it my favorite. I think xiao likes getting in trouble. I'm glad you like it! :D I tried to give that impression that Xiaoyu delights in being a trouble-maker and that Yoshimitsu is trying to scold her politely as possible... and maybe protect himself from her wiley ways. So, hey! 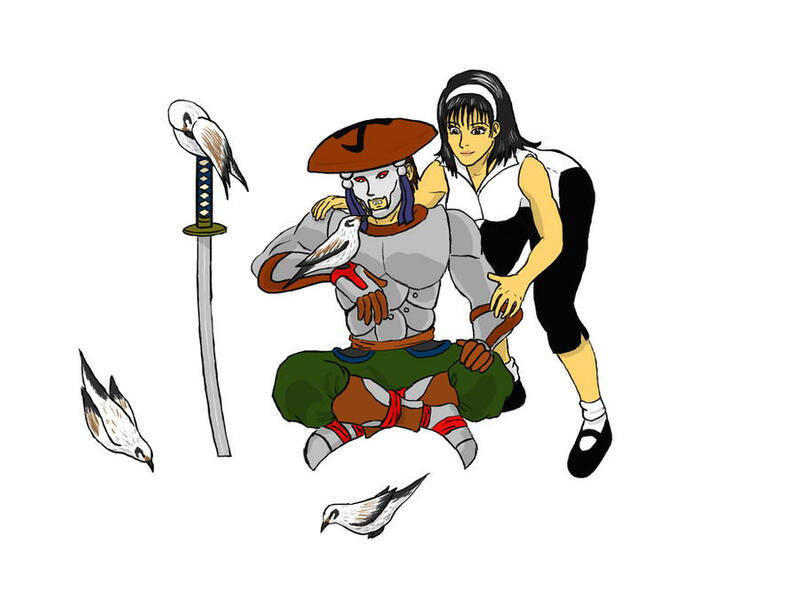 I finally finished that picture I started, with Yoshimitsu and Kunimitsu.